Training season has arrived. So too, apparently, has winter. With our first official week of half-marathon training in the books, our not-so-friendly Lake Erie Monster has returned, just in time for our long run of the week. Our training program for our fourth half-marathon is a bit different from previous, due to the addition of weight-training. We are slated for three days lifting (Legs,Push,Pull) and three days running (Short speed, Medium tempo, and Long). Medium Runs: 5k – 10k at a difficult pace. We are planning on building one rest day into this schedule a week, alternating lifting days and running days. More likely though some days we will double up depending on what life throws at us. Our first long run was pushed from Sunday to yesterday this week, mostly because of the ice rain and snow on Sunday night, which made everything extremely icy. 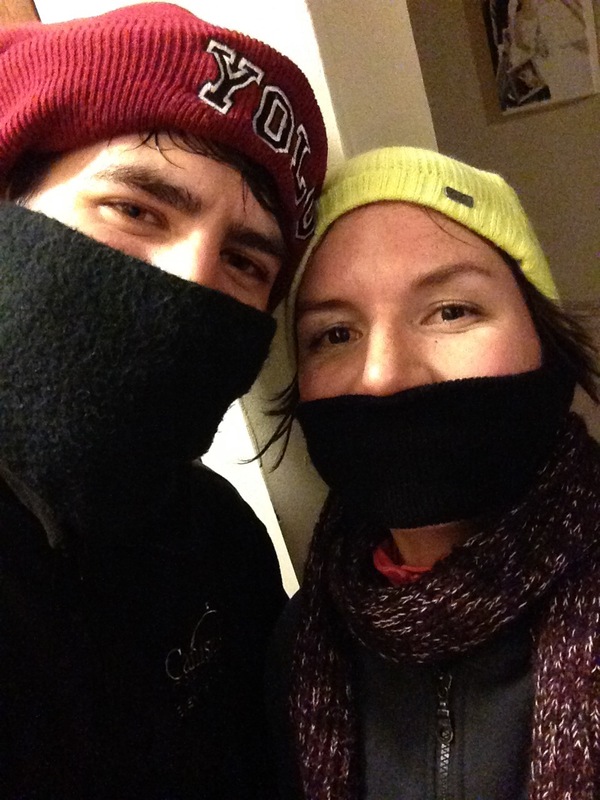 Despite getting more snow yesterday, we did not want to start training off by missing our first long run, so we both made a pact to go out no matter what the weather. Last night turned out to be three inches of snow. Getting all bundled up helped tremendously, though running through snow and ice proved to be very exhausting. But, we did it. We averaged an 11 minute pace for 5 miles, which is a ton of work. Though it was slower than we expect to run the race by a couple of minutes, I am super happy that we went out despite the adverse conditions and got the run in. Great start! I have a bit of catching up to do! My goal is to be ready for the Half and one Tri – yet to be determined.